Simply add boiling water + milk to your oats / nut mix, cover and let rest for 10 minutes. 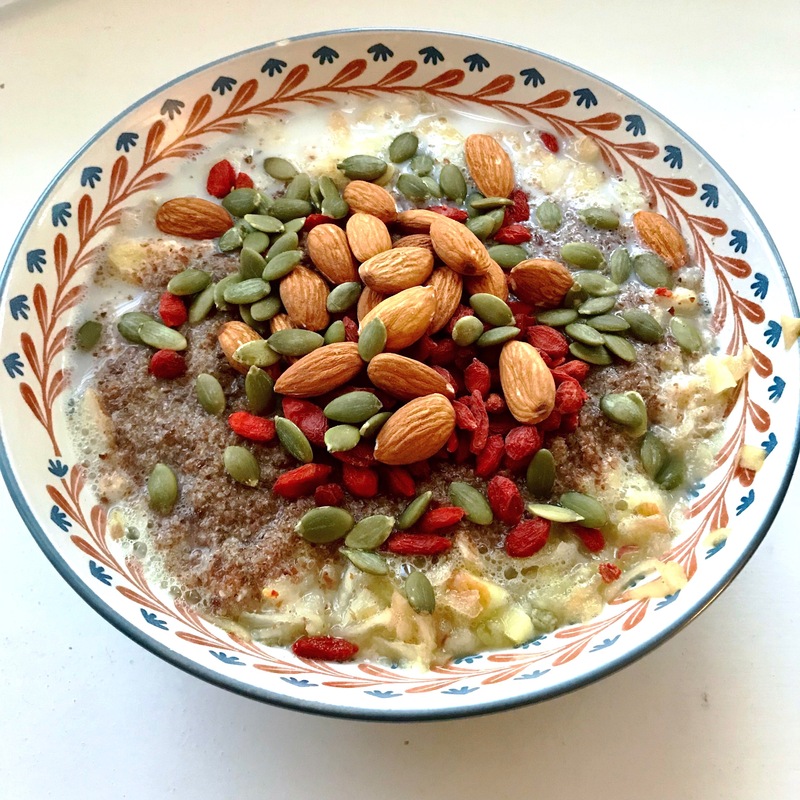 Supercharging your porridge will add protein and fat, which will keep your blood sugar more stable, releasing the energy from your food more slowly. This is essential for kids as well, and will help them keep their behaviour patterns in check and their attention focussed for a good part of the morning, when at nursery or school.